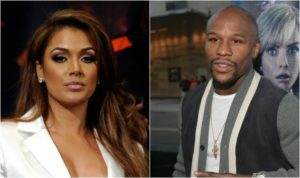 Floyd “Make It Rain” Mayweather, JR. is back in the news to try and stay relevant. Read HERE. The 2019 Western Elite Qualifier & Regional Open Championships kicked off last night with 96 elite boxers taking to the rings to begin their journey in hopes of punching their ticket to the 2020 Olympic Trials for Boxing this December. 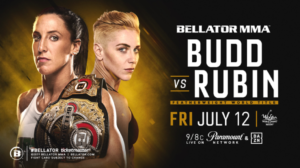 The three rings saw 16 exciting bouts in each ring to give a preview of what is to come during the week-long tournament at the Grand Sierra Resort & Casino in Reno, Nev. 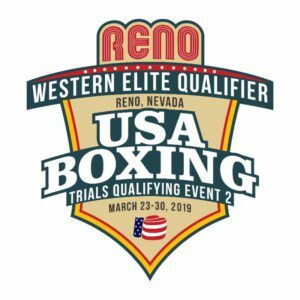 This year’s edition of the Western Elite Qualifier is the second event of the USA Boxing Olympic Trials Qualifying Series, which will see two boxers in each elite Olympic weight class advance to the Trials. 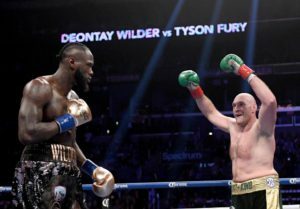 The war of words between Tyson Fury and Deontay after their heavyweight match that took place last December heated up today! Read HERE. 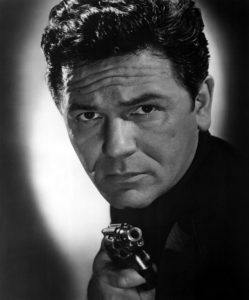 John Garfield was born on March 4, 1913, as Jacob Julius Garfinkle, to Russian and Jewish immigrants David and Hannah Garfinkle. He grew up in poverty in Depression-era New York City. His brother, Max, was born 5 years later. From an early age Garfield faced many struggles, starting with the death of his mother two years after Max was born. John and Max were sent to live with various relatives scattered across sections of Brooklyn, Queens and the Bronx. He also had difficulties in school. He could barely read and spell, and had poor attendance. He also suffered from a speech impediment. After his father remarried, they relocated to West Bronx, where John joined a series of gangs. 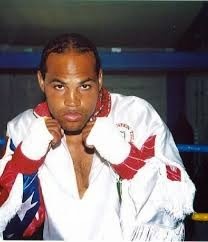 He also began to hang out and spar at a boxing gym. His troubles in school didn’t improve. He was expelled three times and this led to his wish to quit. His father and step-mother sent him to P.S. 45, a school for difficult children. It was upon his entrance to this school when his life began to turn around for the better. 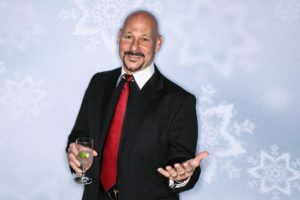 The school’s principal, Angelo Patri, assigned him to a speech therapy class taught by a teacher named Margaret O’Ryan. 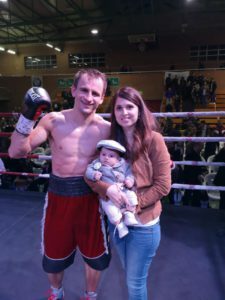 This past Saturday, lightweight contender Petr Petrov scored a 4th round stoppage over Hermin Isava in Petrov’s home country of Spain. Doctor Curmudgeon® staggered out of the exam room, coughing, eyes running: a very sorry sight. Her office is covered with signs, dire warnings for patients to heed. These vivid notices tell people to eschew wearing anything with an odor. New patients are beseeched to avoid entering the office, redolent of fragrances. Old patients are repeatedly cautioned about this when appointment reminders are sent out through the ether. Doctor Curmudgeon® assumes that these memoranda are transmitted through the ether. They can’t possibly arrive in email boxes because people continue to slather themselves with lotions, perfumes, hair products and other preparations that smell! Apparently, these communications are lost and never received. 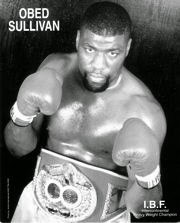 Obed Sullivan turned pro on August 27 1992 in San Diego California with a first round knockout of Mike Davis. After a 4 round decision win in his 2nd pro bout, he lost to 290 Lb. Jonathon Grant in his 3rd pro bout. He then went 3 years, and 29 fights without a loss. In November of 1997 he would take a record of 28-1-1, 19 ko’s into a showdown bout against undefeated Hasim “The Rock” Rahman (23-0, 20 ko) for the USBA Heavyweight Title. Rahman won the battle by a Majority decision. 2 fights later, Sullivan got a shot at the IBC heavyweight title against another undefeated fighter – Michael Grant (27-0). 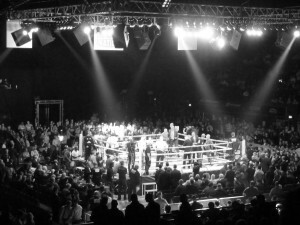 Sullivan was stopped in the 9th round by Grant. 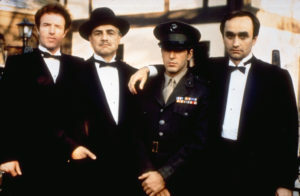 Although the early 1970s experienced a financial slump it proved to be a benchmark decade, as an art form and as a business, which tremendously affected the development of movie making. The restrictions that were put in place decades before on language, adult content, and sexuality have loosened, allowing filmmakers to experiment and take greater risks. In addition, the hippie movement, the civil rights movement, free love, the growth of rock and roll, and drug use has certainly impacted filmmaking during the decade. The 1970s brought a rebirth of the gritty crime film. THE FRENCH CONNECTION (1971), starring Gene Hackman and SERPICO (1973), starring Al Pacino, were two noteworthy ones. 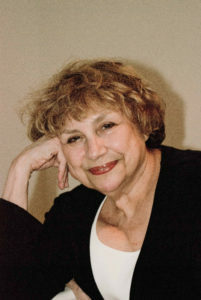 It’s widely known that the 1970s gained lucrative success in the horror genre, especially with films like the terrifying THE EXORCIST (1973), starring a young Linda Blair. Other notable horror films of the decade included THE OMEN (1976), ALIEN (1979), CARRIE (1976), BLACK CHRISTMAS (1974) and HALLOWEEN (1978), which was a pre-cursor to the classic slasher flicks of the 1980s and 1990s. Cult horror films were also popular in the 1970s, such as THE LAST HOUSE ON THE LEFT (1972), THE HILLS HAVE EYES (1977) and THE TEXAS CHAINSAW MASSACRE (1974), all of which got the remake treatment years later. New York’s David Telesco turned pro on Jan. 13 of 1991 with a first round KO over Anthony Sutton at Trump Taj Mahal in Atlantic City, on the undercard of James Toney vs. Merqui Sosa. Two months later he suffered his first pro defeat in his 3rd pro bout dropping a 4 round decision to a man that would go on to also become a world class boxer Ernest “M-16” Mateen. That same year Telesco got his shot at revenge against Mateen, but lost another close decision, this time a 6 rounder. David ran off a string of 8 straight victories and in 1997 he faced Ernest Mateen for the 3rd time, but this was for the New York State Light Heavyweight Championship, and Telesco got his revenge with an 8th round stoppage over Mateen. Telesco continued his winning ways and on Oct. 9, 1998 he stepped into the ring to face former IBF Middleweight Champion/WBU Light Heavyweight Champion, and Olympic Gold Medalist Frank Tate. A name of Venezuelan heritage and one with which there is little doubt that for me, it is wildly exotic. 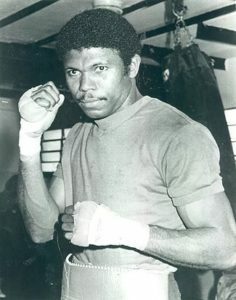 Fulgencio Obelmejias, 52-5, 41 KO’s or Fully Obel was a super middleweight champ who represented his country in the amateurs at the 1975 Pan American games as well as the 1976 Montreal Olympics. In 1977 he turned professional, going on a short trip over 6 months and six fights in southern California and Mexico to get himself noticed. 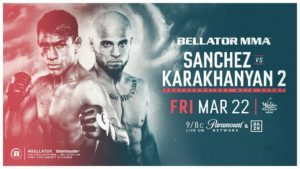 What followed as the next 6 fights at home but combined it wasn’t long before he had 12 professional fights with 12 wins and 11 stoppages. Next was his ranking fight, back in Mexico where he faced and knocked Carlos Marks out in the 9th round in December 1978. He was in the WBC top ten now. 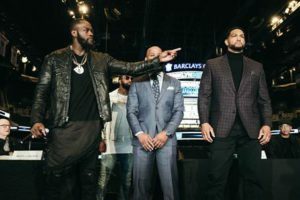 Fully made his way to number one thanks to a further eight wins including a 3 round defeat of former WBC junior middleweight world champion, Elisha Obed. Bramson’s Beach & Ballsy Banter: It’s Absolutely Label-ous! While sitting at home recently having a little lunch, I committed a serious error. I read the packaging. Now, I’m not just talking about the ingredients here, I’m talking about the verbiage that the marketing geniuses devise to inspire us, on their labels. Let me first explain that I am not your California hoopla, hot tub, birds & bees, honey, dance barefoot through fields of flowers, and life is all happy things kind of guy. Hell, I don’t even need whole grain, natural, or organic foods. But this is going too far. Here’s a winner from a “Baked! (that’s the way it’s written) Ruffles Cheddar & Sour Cream Artificially Flavored Naturally Baked (?) Potato Crisps.” Next to the photo of the crisps is a bright green logo which says: “Smart Choices Made Easy.” Yeah, right! For those who know Doctor Curmudgeon® well, they would never attribute a finely honed sense of direction to her. Many individuals close to her can recount tales of panicked phone calls when she has been lost. Even her GPS has given up on her. And as the family turned the corner…there was their home… not blocks away.